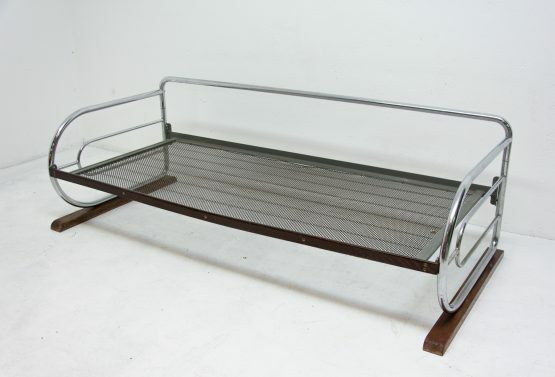 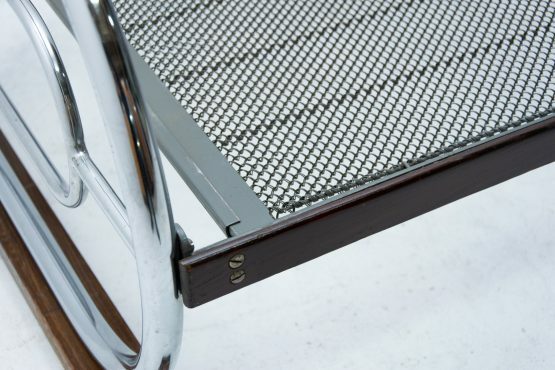 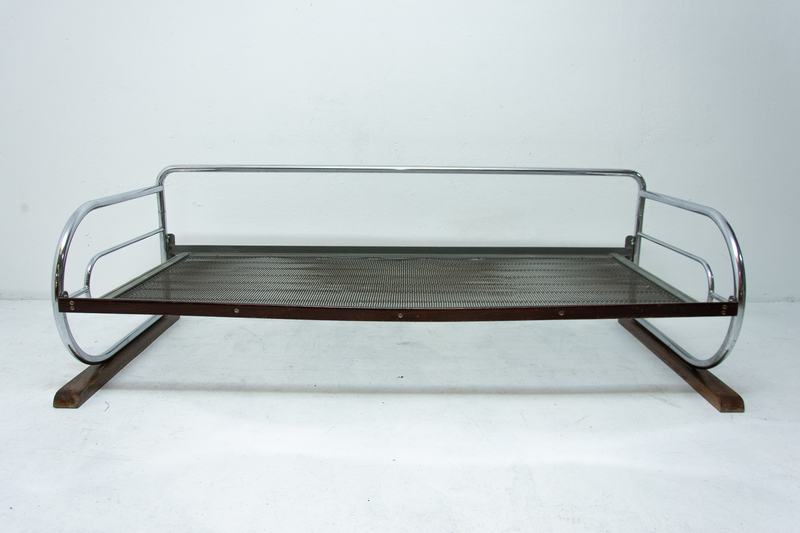 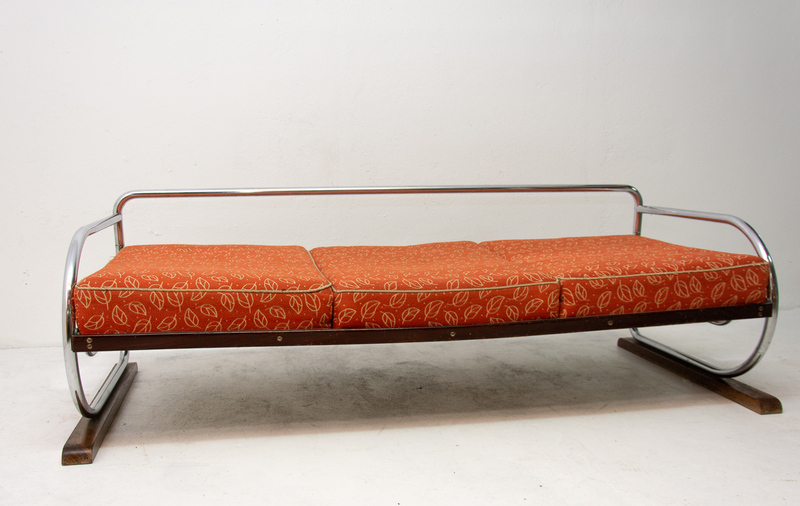 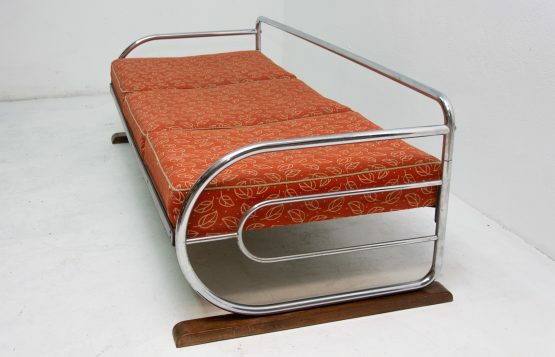 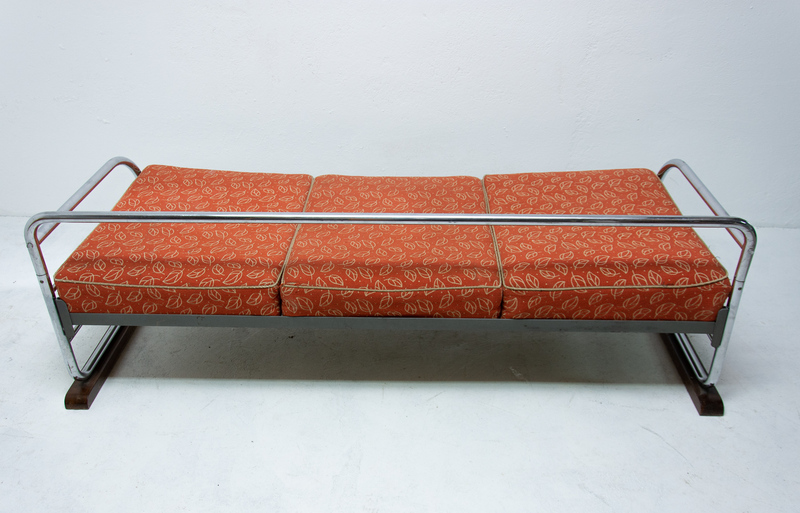 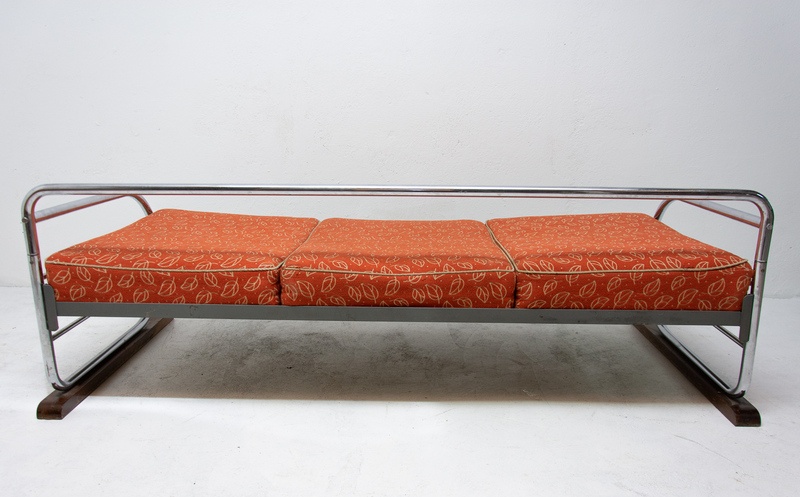 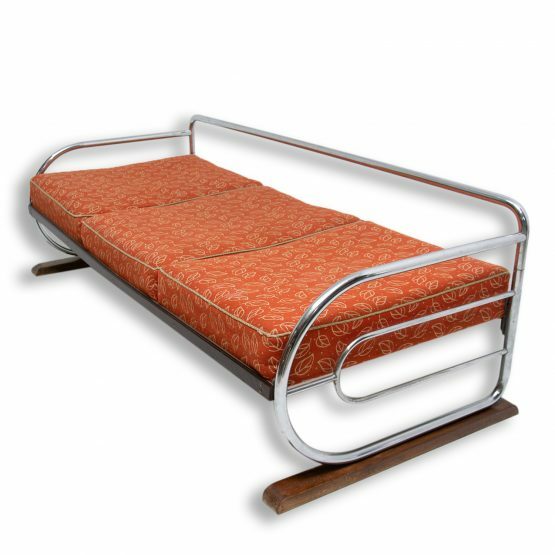 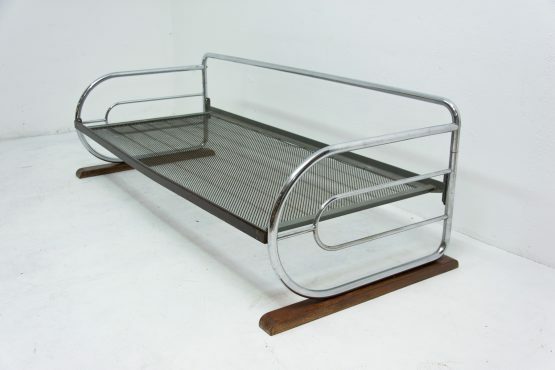 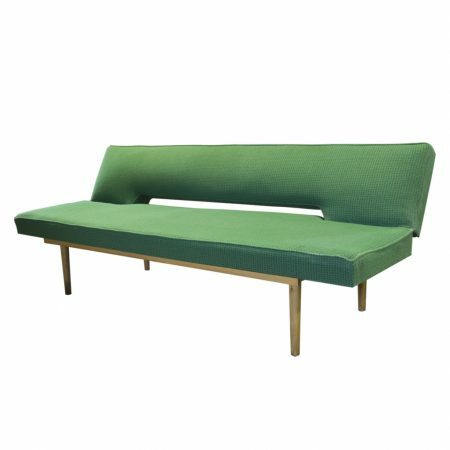 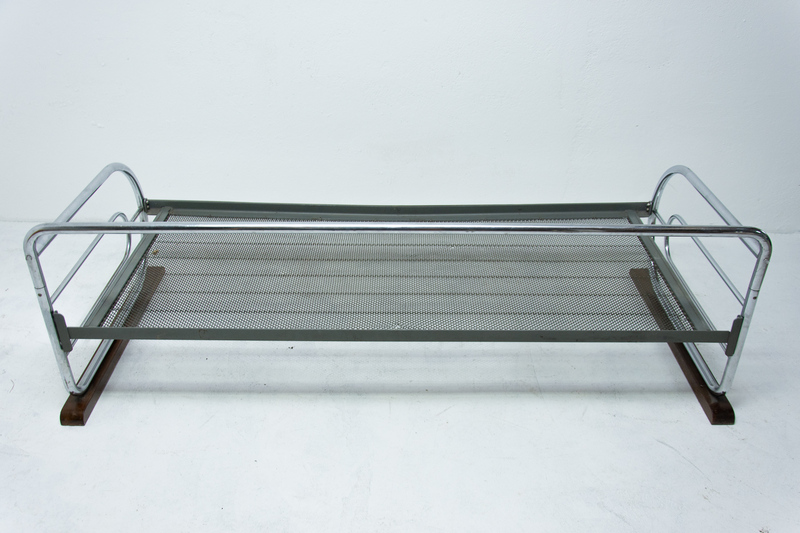 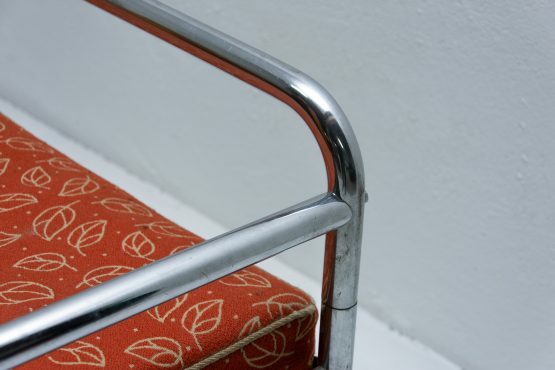 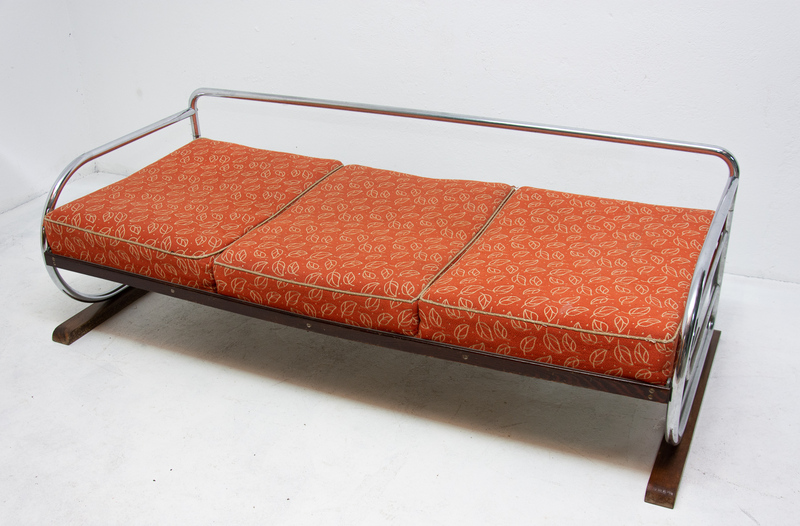 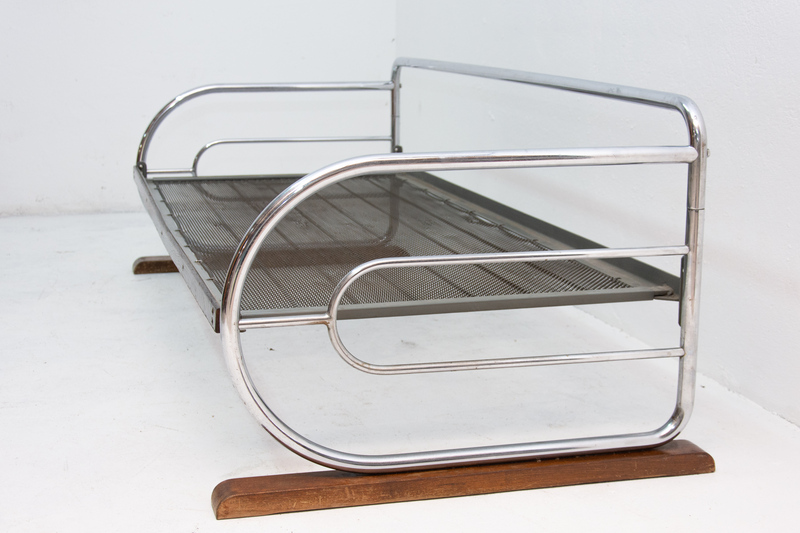 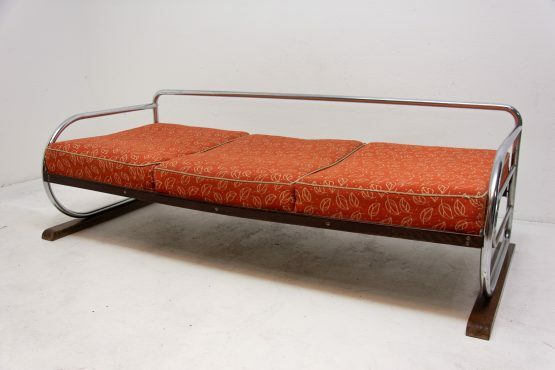 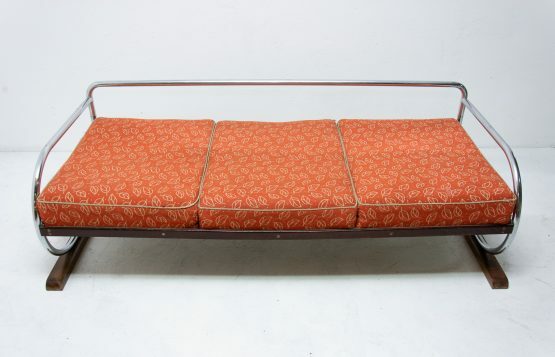 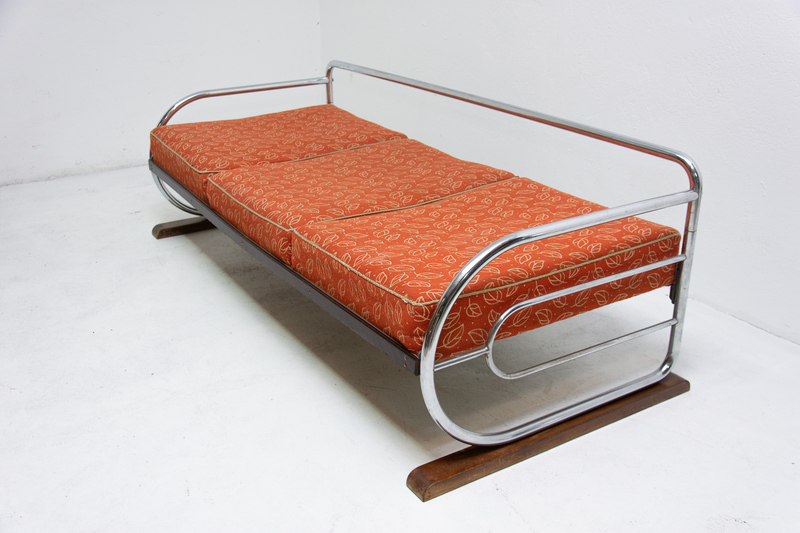 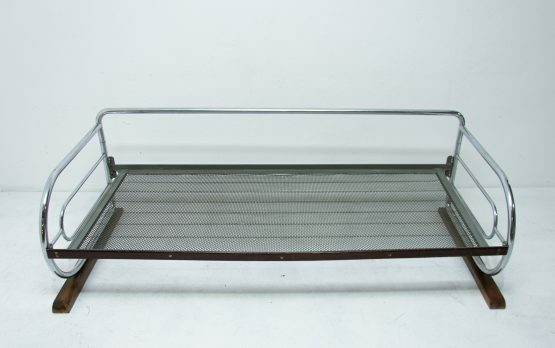 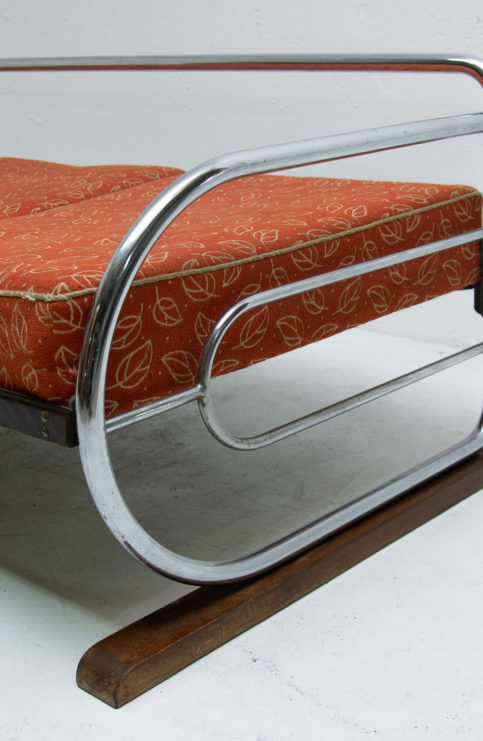 Chromed tubular steel sofa from the Bauhaus period, 1930s, Bohemia. 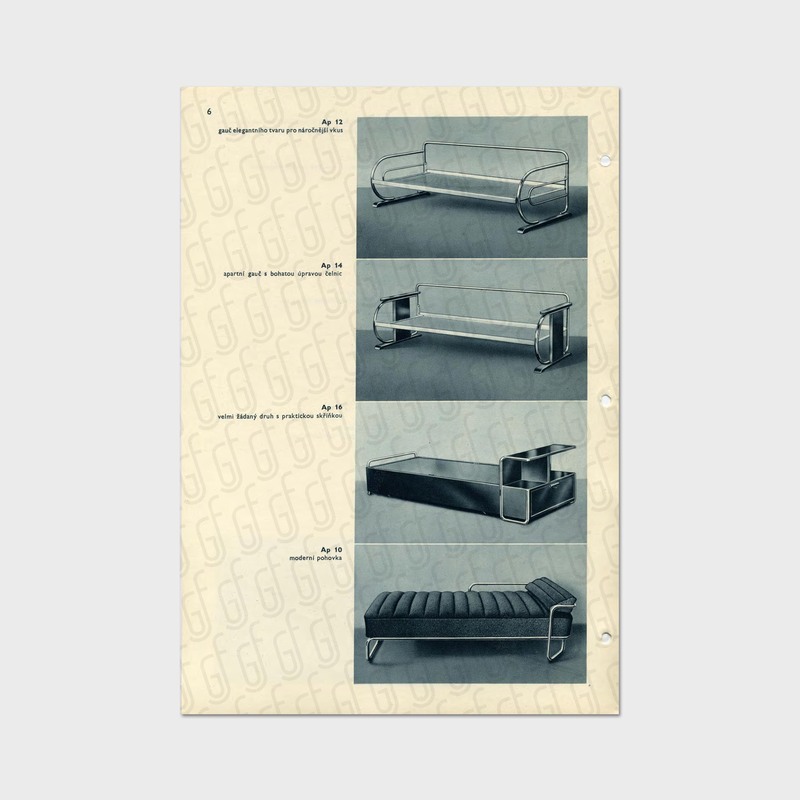 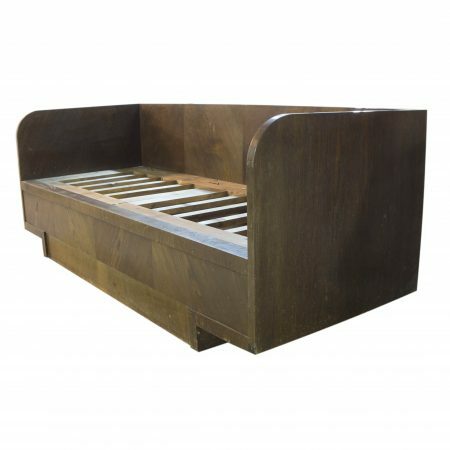 It was made by Gottwald company. 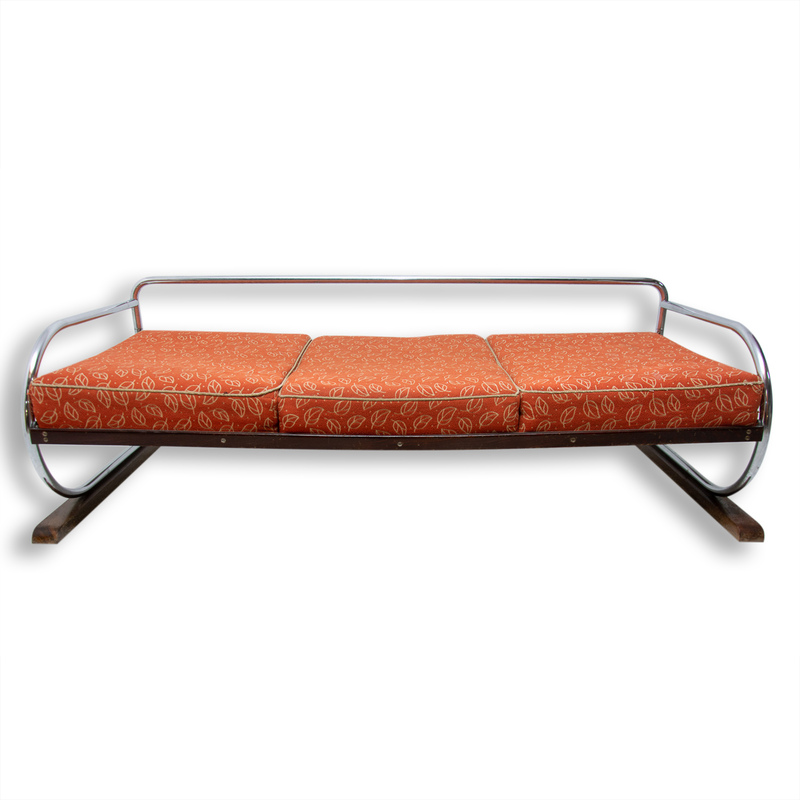 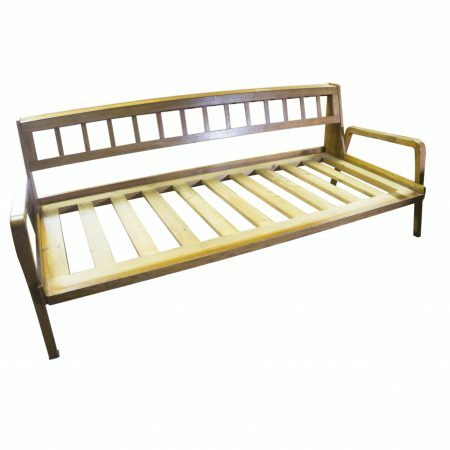 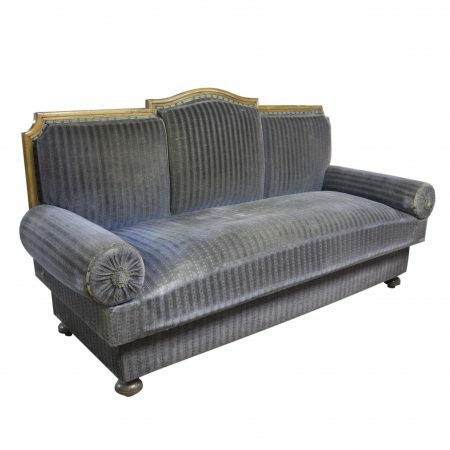 Currently one of the most popular models of these chromed sofas. 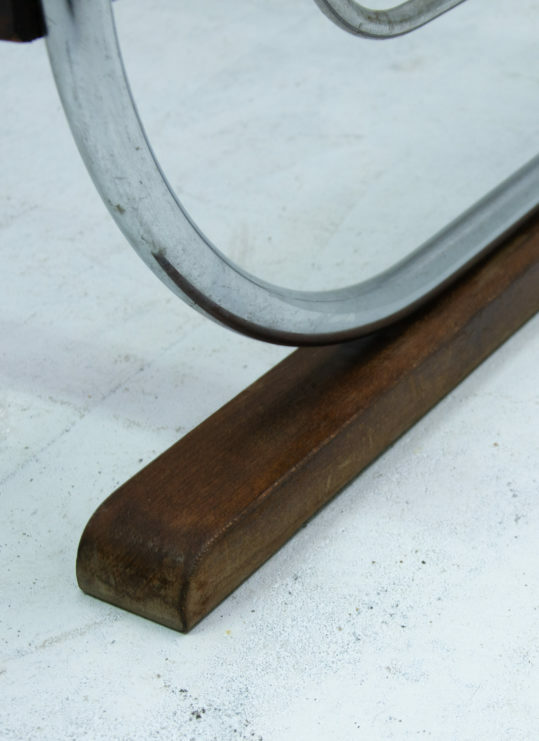 It features a wooden bottom parts in the shape of skis and side sections in D-shaped. 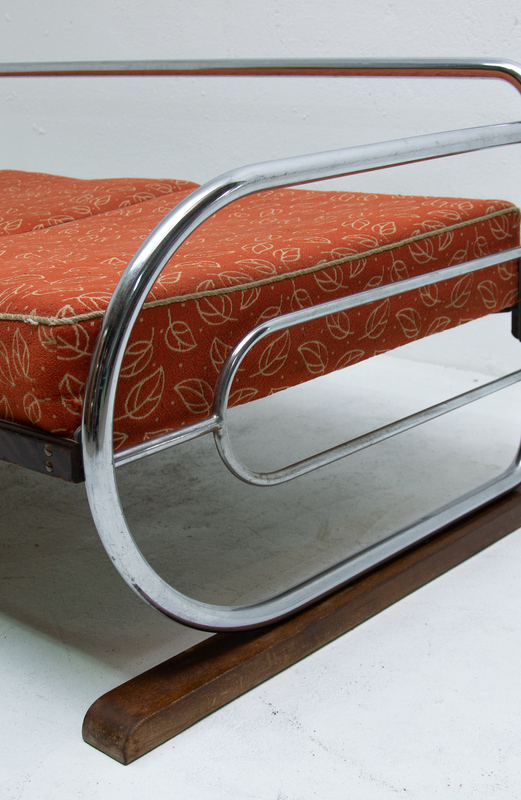 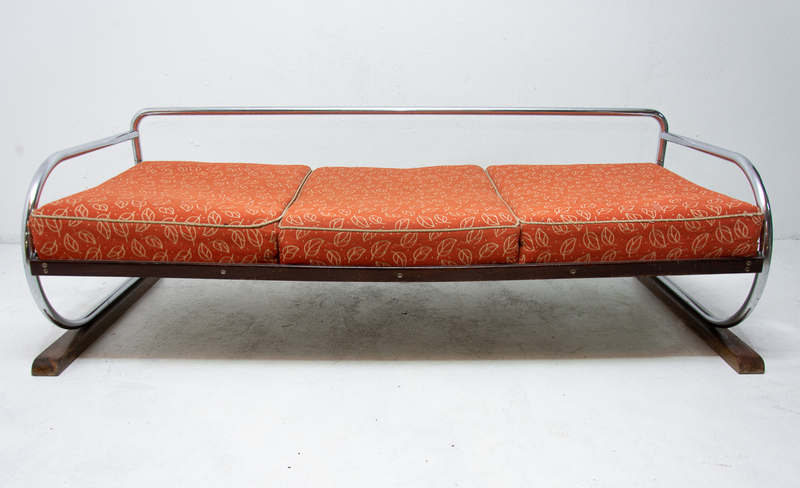 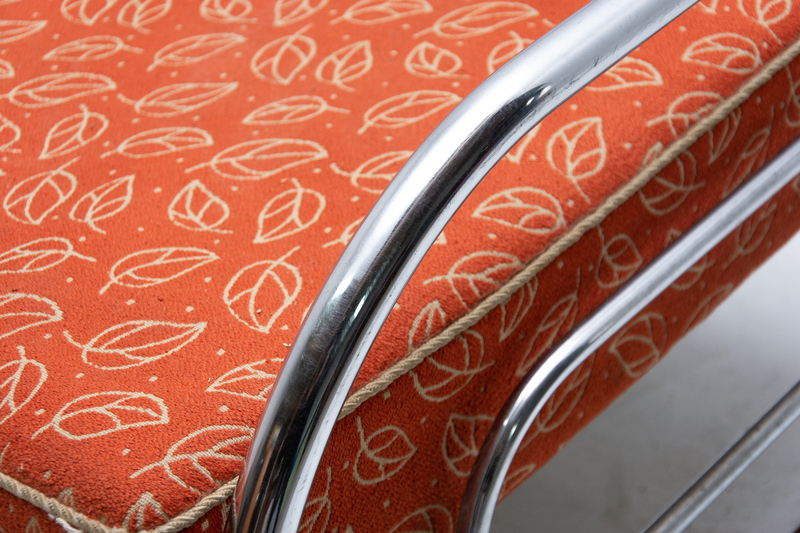 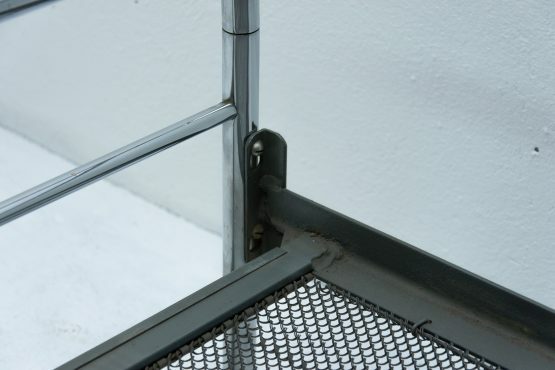 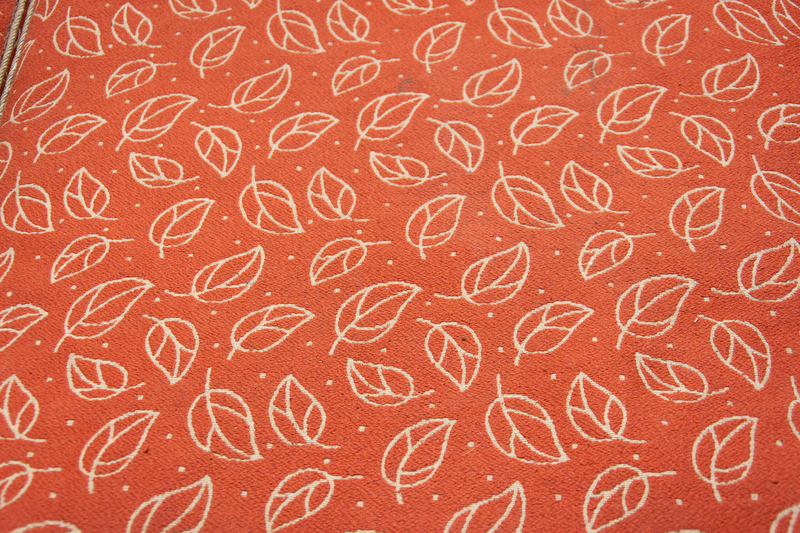 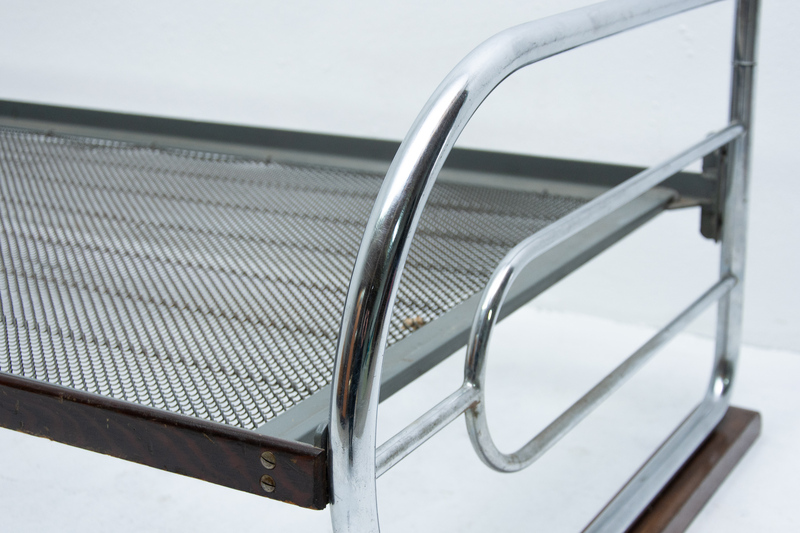 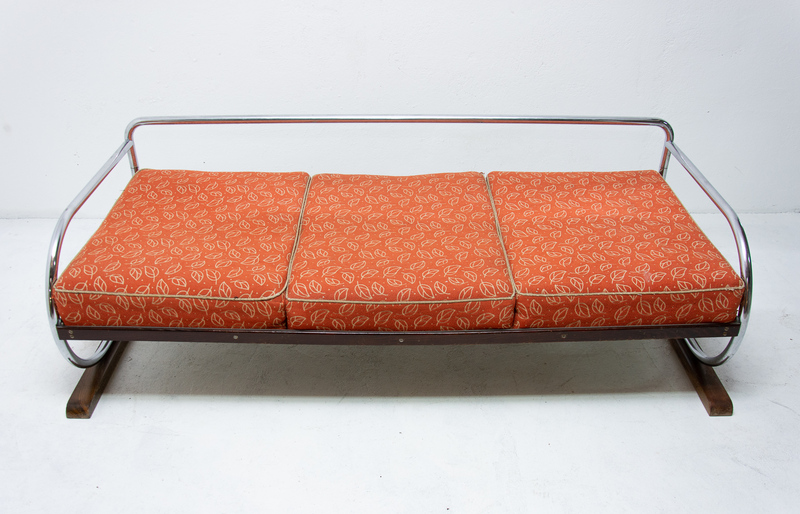 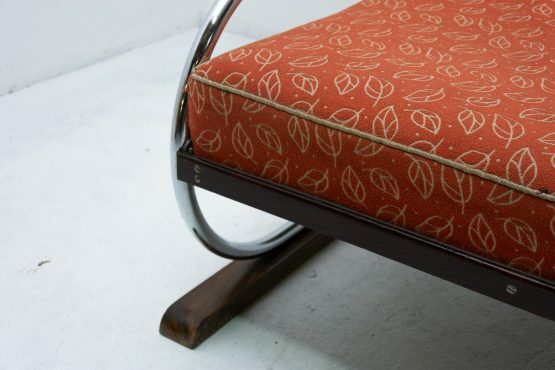 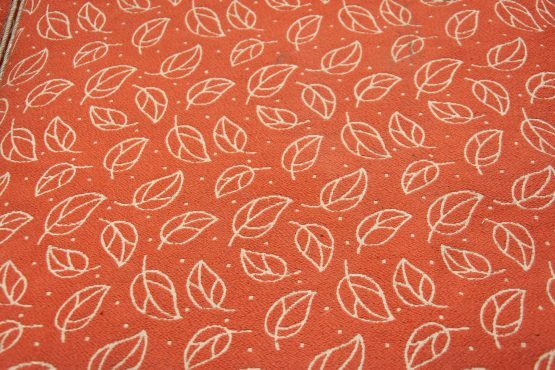 Chrome and upholstery are in very good Vintage condition without damage and the rust.